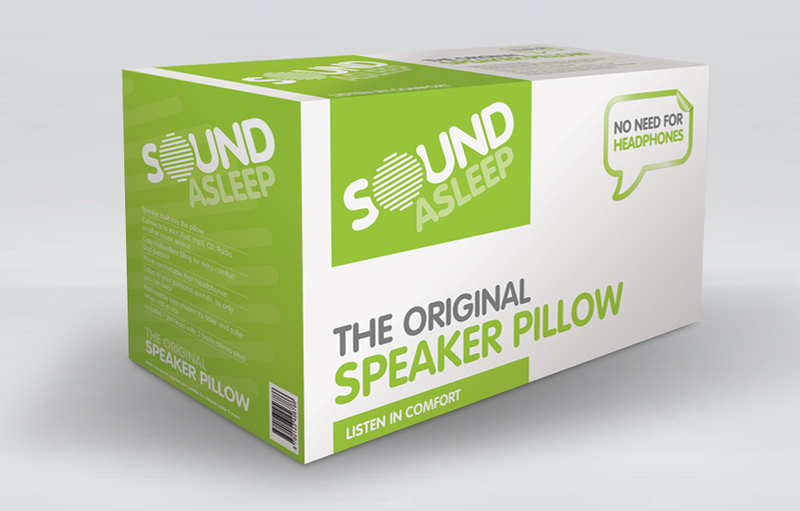 The project to design and produce the new range of ‘Sound Asleep’ packaging was completed in less than 8 weeks and included a number of new products to be integrated into the range including a Memory Foam and Kids version of the speaker pillow and also a Travel Speaker Pillow, Speaker Blanket and Speaker Headboard. The design introduces a range of complementary colours across the product range. 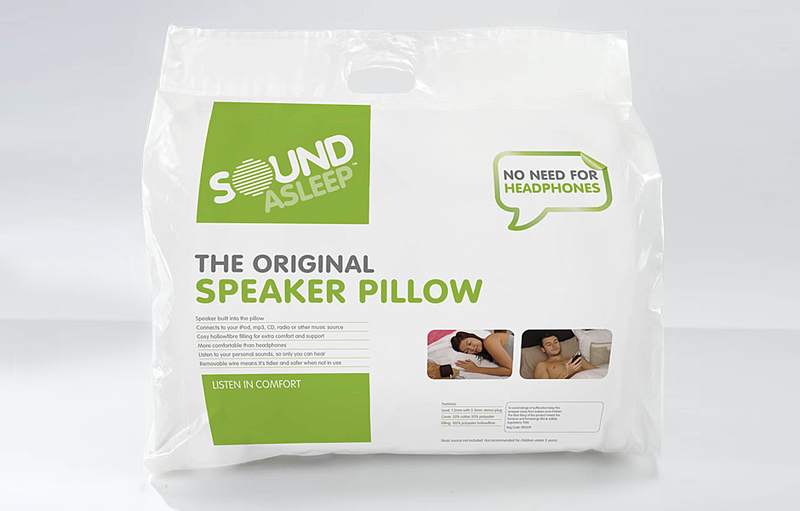 One of the aims of the re-brand was to widen the appeal from a ‘gadget’ brand to a wider audience as the pillows also have medical benefits such as suffers of tinnitus.